But not everyone has a use case for smartwatches and if we're being really honest about it, they feel like they're filling a niche that didn't exist until they were created. And that's exactly what this new video from Cracked is all about: if smartwatch ads were honest, they'd tell you that they're sort of pointless. 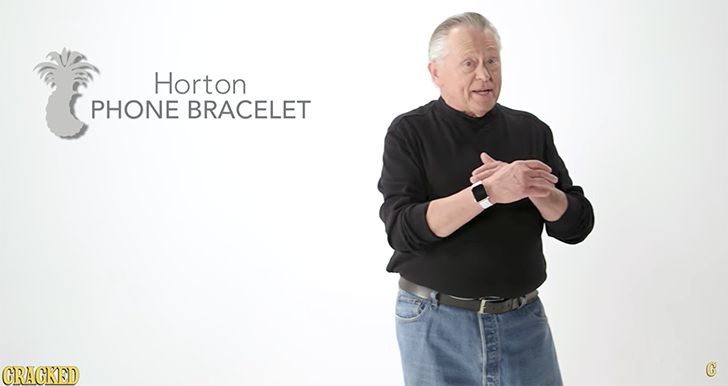 The video has harsh gems like, "you can use this doodad for everything theoretically, which makes it your fault if it doesn't change your life," and, "no one cared before; caring about it is a need I invented to sell this kind of stuff," as well as, "the wearable gizmo market is so new no one can prove we're wrong yet." There's also a comment about it costing several months rent, a made-up "bitiflexity" word, and a sarcastic joke about fumbling with your big hammy screen tappers. But the part that I liked the most was at 1:46 when he says, "and we can't sell people our phone twice, so we set out to build a not-phone phone that everybody could use and ended up with this health-centric TV for mice that we need you to tell yourself you need." Ouch, but so right.